GeekOut Bristol Meet – New Years Eve Into 2018! If you’ve got nothing to do on the 31st of December, I.E New Years Eve, then I think I have the solution for you. In the Old Market Tavern from 6pm, we’ll be hosting our second special GeekOut South-West New Years Eve event. You wanted it, you got it – We’re gonna hold our GeekOut Bristol Meet into the new year! 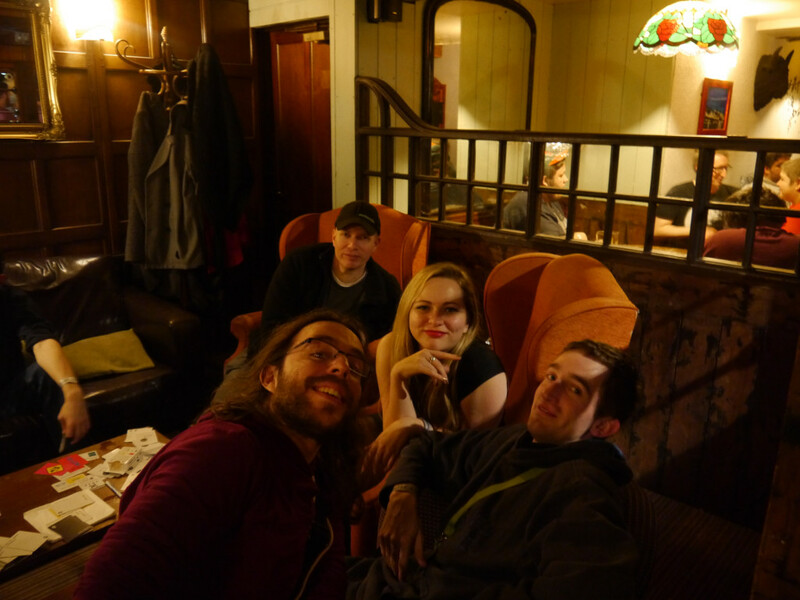 The meet was cosier at the last New Years Eve event. 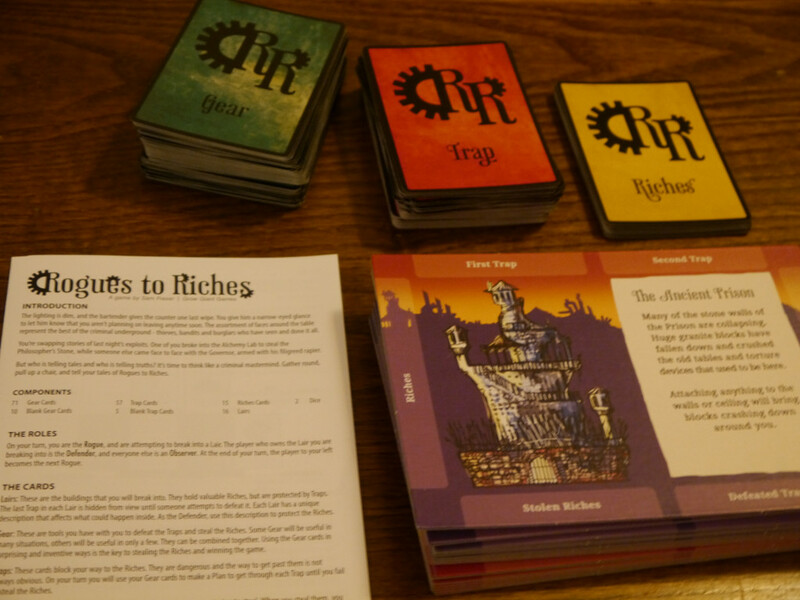 An event where we’ll not have the books; but we’ll still have some games. An event where we’ll not have quite as big of an agenda, nor will we have as long as a usual GeekOut Bristol Meet – But we’ll be out ’til later! It’s the time of the year where we should all reflect on what we want to do in the year ahead… and what we’re most thankful for this year. As such, I’m proud to announce the GeekOut South-West New Years Eve special. Unfortunately, we will be required to make people sign up to this event. We have passes to hand out for this event, so please, please, PLEASE sign up. We may have to turn away people who didn’t sign up. We are an 18+ event. We’ll be there until about 1am. Please ensure you bring your ID, if you’re lucky enough to be subjected to being ID’d. The number of games we’re bringing is smaller, due to the size of this event. We’ll have our usual Quiplash and Drawful 2 on the tablet and we’ll be bringing the GOCade, which has a few more games (and a list of what works on there is compiled). We’ll be bringing only social board games, in an effort to get everyone to chat and celebrate the new year in. This is as ever a GeekOut Bristol Meet, so if you wanna enter 2018 wearing a costume, gosh darn you do so! You do you and you show us who you are going into 2018! I think I’ll be wearing my old Oskar costume. Whoever you come as, just… Bring something! Gosh darn, wear an outfit that makes you feel like you’re out doing something special; let’s make 2018 a great year for cosplay! I’ve started chatting to the Old Market Tavern, as we certainly hope to run a competition as per usual. This time around, we’re hoping to get the whole pub of invited attendees involved. I’m chatting to Richard about holding… A Karaoke competition, for the first time ever for GeekOut Bristol Meet. Hoo boy, this can only go one of two ways. 1st Prize: TBC, 3 game codes and a poster of your choice. 2nd Prize: TBC, 2 game codes and a poster of your choice. 3rd Prize: TBC, 1 game code and a poster of your choice. We will likely have a limited number of passes to hand out, so please do be weary of this. It will be first come, first served. 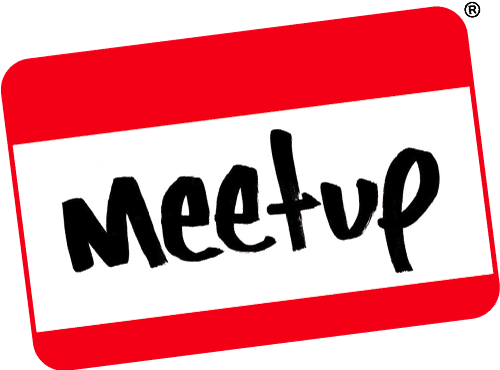 Our Facebook RSVP is already up to 16 going and 17 interested, with a further 6 from Meetup, meaning spaces will run out if you do not sign up (and hit going!) People who click going on Facebook or RSVP via Meetup will get priority on the door. Oh and don’t worry – passes are free. You JUST have to sign up! RSVP today and when you come along, just tell me your name and I’ll cross you off our guest list :) That’s all there is to attend this free New Years’ Eve event. GeekOut Bristol Meet – December 31st: New Years Eve Into 2018! This entry was posted on December 17, 2017 by Timlah. 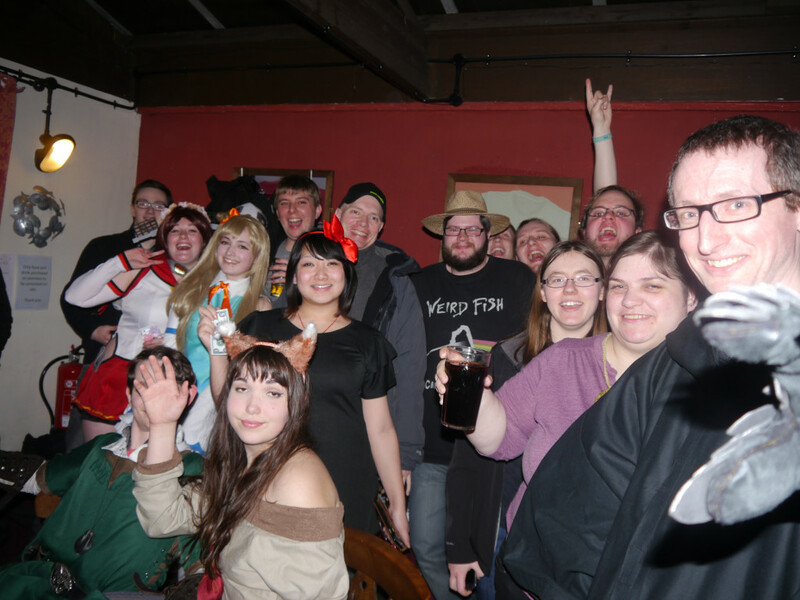 It was filed under Events, GeekOut Meetups and was tagged with Bristol, Bristol Geek Meet, Bristol Geeks, Geek Meet, GeekOut Bristol, GeekOut Bristol Meet, GeekOut South-West, Geeks in Bristol, Meetup, Meetups on New Years Eve Bristol, New Years Eve, New Years Eve 2018, NYE, UK.